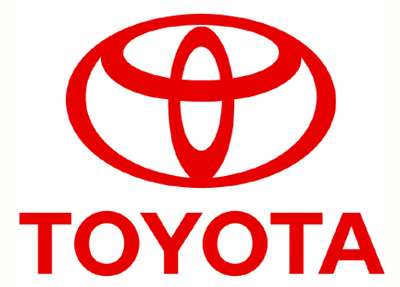 TOYOTA CITY, Japan - February 6 2019: Toyota Motor Corporation (TMC) today announces its financial results for the nine-month period ended December 31, 2018. Consolidated vehicle sales totaled 6,700,902 units, an increase of 22,623 units compared to the same period last fiscal year. On a consolidated basis, net revenues for the period totaled 22.4755 trillion yen, an increase of 3.1%. Operating income increased from 1.7701 trillion yen to 1.9379 trillion yen, while income before income taxes1 was 1.7257 trillion yen. Net income2 decreased from 2.0131 trillion yen to 1.4233 trillion yen. Operating income increased by 167.7 billion yen. Major factors contributing to the increase included an increase of 210.0 billion yen in marketing efforts. In Japan, vehicle sales totaled 1,595,464 units, a decrease of 44,076 units. Operating income, excluding the impact of valuation gains/losses from interest rate swaps, increased by 131.3 billion yen to 1.2442 trillion yen. In North America, vehicle sales totaled 2,091,258 units, a decrease of 39,936 units. Operating income, excluding the impact of valuation gains/losses from interest rate swaps, decreased by 4.4 billion yen to 163.7 billion yen. In Europe, vehicle sales totaled 724,800 units, an increase of 18,908 units, while operating income, excluding the impact of valuation gains/losses from interest rate swaps, increased by 24.5 billion yen to 87.0 billion yen. In Asia, vehicle sales totaled 1,274,858 units, an increase of 126,681 units, while operating income, excluding the impact of valuation gains/losses from interest rate swaps, increased by 59.9 billion yen to 395.0 billion yen. In other regions (including Central and South America, Oceania, Africa, and the Middle East), vehicle sales totaled 1,014,522 units, a decrease of 38,954 units, while operating income, excluding the impact of valuation gains/losses from interest rate swaps, decreased by 21.6 billion yen to 84.3 billion yen. Financial services operating income increased by 10.2 billion yen to 237.6 billion yen, including a loss of 26.2 billion yen in valuation gains/losses from interest rate swaps. Excluding valuation gains/losses, operating income increased by 43.1 billion yen to 263.8 billion yen. For the fiscal year ending March 31, 2019, TMC has revised its consolidated vehicle sales forecast from 8.9 million units to 8.95 million units, in consideration of the latest sales trends worldwide. TMC revised its consolidated financial forecasts for the fiscal year. Based on an exchange rate assumption of 110 yen to the U.S. dollar and 128 yen to the euro, TMC now forecasts consolidated net revenue of 29.5 trillion yen, operating income of 2.40 trillion yen, income before income taxes of 2.20 trillion yen, and net income of 1.87 trillion yen. Commenting on the operating income forecasts for the fiscal year, TMC Operating Officer Masayoshi Shirayanagi said: "As for the cost reduction and fixed cost reduction activities, we are steadily making progress towards achieving our challenge-level target. In order to achieve this, we will follow through with our activities."